company name: it had to be Moose Tank Parts. The name stands for a one-stop shop in the wider sense of the notion. Van de Moosdijk is certainly experienced – he started his career in the metal industry 20 years ago. He specialises in metalworking and in high-sheen polished stainless steel work, ranging from 1 to 1.5 mm thick. Fellow craftsmen and experts know that this is careful and precision work. 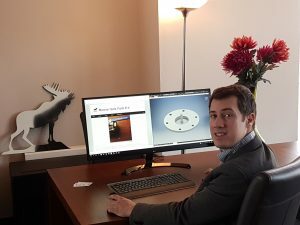 Today, his Moose Tank Parts customers can rely on being served by a mechanical engineer with an over 16 years of experience in the tank container business. products people in the business may have.